BEIJING -- Volkswagen Group is opening three new factories in China with local partner FAW Group as it steps up efforts to maintain leadership in the world's biggest auto market. Two of the new facilities will be in Tianjin and Foshan, VW said in an emailed statement, adding it opened one in Qingdao on Monday. The plants will focus on bringing more SUVs and electric vehicles for local production, the fastest growing segments of China's auto market. VW is among automakers expanding local production of SUVs and EVs even as China eases access to its market by reducing import tariffs. The automaker boosted sales in China by 13 percent in the first four months to 1.34 million units, mainly with the help of models manufacturing under its two local joint ventures. It plans to sell a compact crossover vehicle it developed with SAIC, its other partner, across the globe. The Qingdao factory opened with the introduction of the new Bora on the MQB platform and will produce battery systems, according to the statement. The Foshan factory will open in June and the Tianjin facility in August. 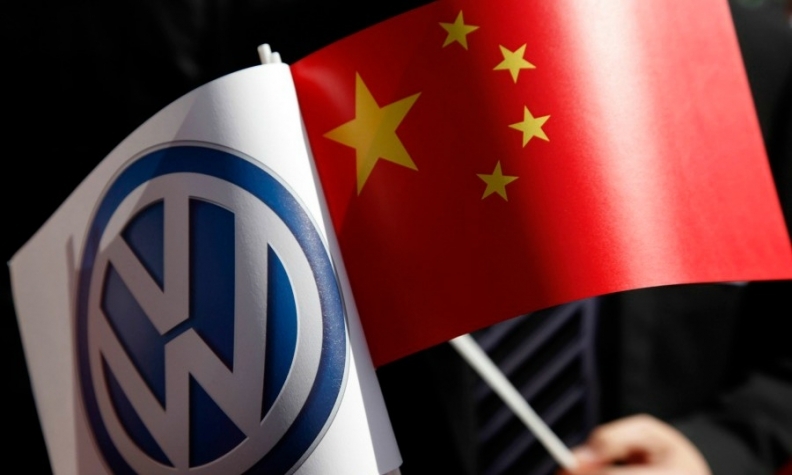 Volkswagen plans to introduce 40 new locally produced new-energy vehicles over the next seven to eight years in China as it prepares to deliver up to 1.5 million NEV sales annually by 2025. The company and its partners will be investing 15 billion euros ($17.5 billion) in the country for electrification, autonomous driving, digitization and new mobility service developments.